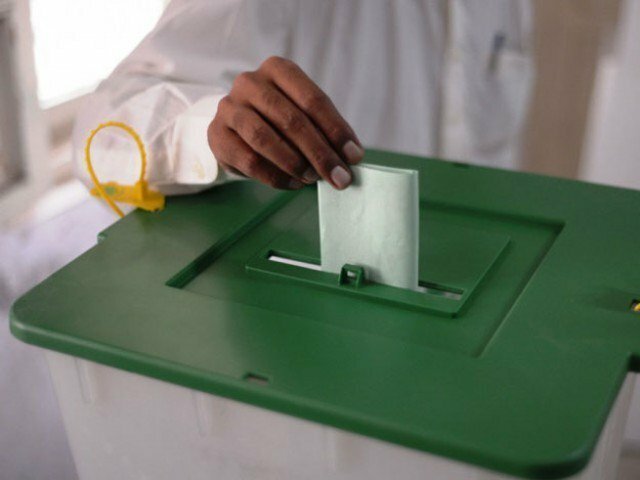 The Provincial Assembly constituency PK-8 that witnessed historic electoral battle among the political heavyweights in the past is all set to witness yet another tough electoral contest among PML-N, PTI, PPP and JUI-F in the by-elections to be held on Thursday (today). Out of 18 candidates that filed nomination papers for PK-8 constituency that fell vacant due to the death of PML-N MPA Akbar Hayat Khan, 15 candidates are left in the run including PML-N’s Arbab Muhammad Waseem, PPP’s Tehmas Khan, PTI’s Shahzad Khan and JUI-F’s Asif Iqbal Daudzai. Traditionally this seat has never been monopolised by a single political entity as it was won by the JUI-F, PPP and PML-N in the past. In the 2002 general elections, this constituency was clinched by JUI-F’s Asif Iqbal Daudzai from the platform of Mutahid Majlis e Amal (MMA) whereas PPP’s Tehmas Khan won it in 2008 and PML-N’s Akbar Hayat Khan secured victory in 2013 general elections respectively. For May 12, 2016 by-election, all the political parties fielded strong contestants to win this important constituency. PML-N awarded ticket to Arbab Muhammad Waseem Khan, nephew and son-in-law of late MPA Arbab Akbar Hayat Khan. Former provincial minister and JUI-F candidate for PK-8 Asif Iqbal Daudzai won this constituency in 2002 general elections from the platform of Mutahida Majlis e Amal (MMA) is expected to give a tough time to his rivals. PTI’s ticket holder Shahzad Khan emerged as a powerful candidate as the tripartite ruling alliance including Jamat-e-Islami (JI) and Qumi Watan Party already put its weight behind him. On the other hand, PPPP fielded former MPA Tehmas Khan who won this constituency in 2008 general elections. Similarly, ANP selected a relatively new face Ijaz Ahmad Seemab for the PK-8 constituency. There are no prominent or influential persons amongst the independent candidates. The provincial assembly seat includes rural Peshawar villages such as Pajjagi, Khazana, Larama, Faqir Kalay, Bakhsu Pul, Nasapa, Haryana, Jatai, Tuktabada, Takhtabad, Haryana, Khazana, Mamo Khatkay and other union councils in the north of Peshawar city. The political observers believe this constituency still remained wide open for all the different aspirants, as every mainstream political party won this seat in the past general elections and no single party can claim its dominance over the other. The turnout might be low as the by-election would be held during the wheat harvesting season.